Hi there! 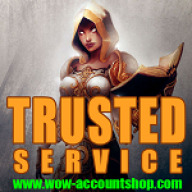 Welcome to Your Premium Private World of Warcraft store. Here you can find everything you need! Please have a look at my account stores. If you find something you like, don't hesitate to add me and i will answer every question you might have. My prices are always affordable and up to date. If you would like specific character that i don't currently have, just let me know what you need and i will find it for you in no time. Also take a look at My discord that serve as marketplace for Private wow servers. You can also reach me on discord,facebook or skype! If you want faster answer you should add me on skype by clicking on the green link above. ATTENTION - Always make sure to message me on epicnpc and confirm my identity, as there are many impersonators pretending to be me. ATTENTION - If you are adding me on discord make sure that you add real me, always send me message on epicnpc first because scammers use discord nitro to set exact same ID as mine.